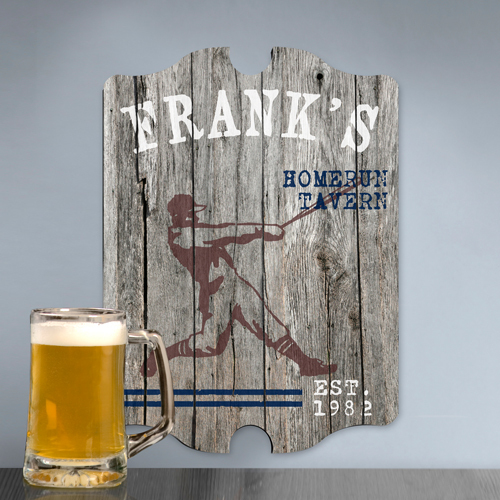 * Our Personalized Vintage Sports Man Cave Pub Signs are ideal for his office, man cave, den, home bar, garage or basement. 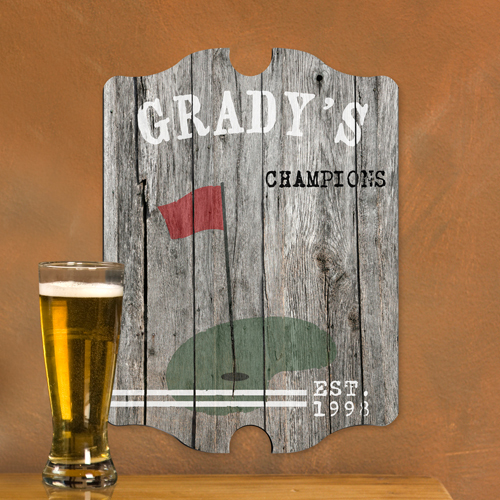 * Available in five vintage images, the weathered wood background of these signs complete the look. 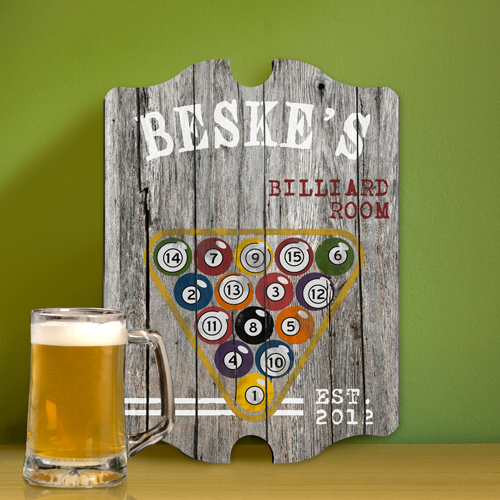 * Measures 10 3/4" x 15 1/2" x 1/4". 15.5" x 10.75" x 0.25"